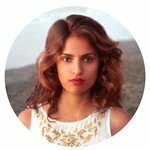 Priya is a San Fransisco-based writer who is passionate about bitcoin. She has previously worked with leading companies including Coinbase, ChangeTip and Expresscoin. Bitcoin is mined based on the concept of proof of work. The difficulty of proof of work and the computing power required make bitcoin special and very rare and therefore very valuable. This concept of proof of work is integral not only to bitcoin but also applies to many facets of life. Anything worth having or accomplishing takes work, as the old saying goes. Health and fitness is no exception to this rule. Consistent habits can create an amazing body and health. The proof of your workout is clear when you have great biceps. The only way you get those biceps is through a dedication to your goal and by holding yourself accountable. BitPay, Bitcoin Magazine, ChangeTip and the Chamber of Digital Commerce have teamed up to sponsor a 30-day challenge to encourage fitness and health. These organizations want to mobilize their decentralized community to take up a positive challenge, hold accountability and inspire via social media tools such as ChangeTip. Getting to your goals will be made even sweeter with prizes. Psychologists say it takes 5 days to create a habit and 21 days to cement one. Emily Vaughn of BitPay has experience joining social fitness campaigns, which encourage members to share their progress and health and fitness tips daily. When discussing parody April Fools Day Bitcoin projects with the marketing team at BitPay, the moniker “proof of workout” was born, and thus the idea of a social fitness campaign that encourages participants to prove their work and get results. After starting the paleo diet and joining a Facebook group for local paleo dieters, she realized that sharing the ups-and-downs of a health and fitness challenge created social accountability and resulted a true lifestyle change, a success that is difficult to achieve when you go it alone. So she dreamed up #ProofOfWorkout, a 30-day health and fitness challenge. The goals of the challenge are to use fitness to educate about the social and transformative properties of Bitcoin technology, and to mobilize the Bitcoin community towards a common goal – getting fit. She designed the challenge to make it accessible to anyone. She plans to use the proof-of-work concept herself, to hack her way to better habit and eventually great fitness and inspire others to do so as well. Simply sign up on the #ProofOfWorkout website with your email, tell us your goal, and then start posting to social media with #ProofOfWorkout so we can track your goals and connect you with like-minded people. Signups begin today and the challenge starts on Monday, May 11th. After 30 days, the contest concludes on June 9th. Winners will be announced on Friday, June 12th. #ProofOfWorkout hopes to award five $100 Nike Gyft cards to the most engaged and enthusiastic participants. Join the #ProofOfWorkout challenge and prove your work with a strong body and a healthy mind. And maybe score some Nike gear, too!